FORWARD Ep. 40 Planting the Seeds of a Comeback | jibtv.com | Japan International Broadcasting Inc. Farmers are among those who have suffered from the disaster at the Fukushima Daiichi Nuclear Power Plant. They've struggled to convince consumers to buy Fukushima peaches, for example, even though the produce has met safety standards. 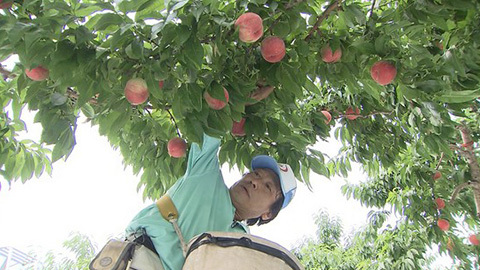 The program documents the efforts of those in the peach business to make sure their fruit is both safe and delicious.